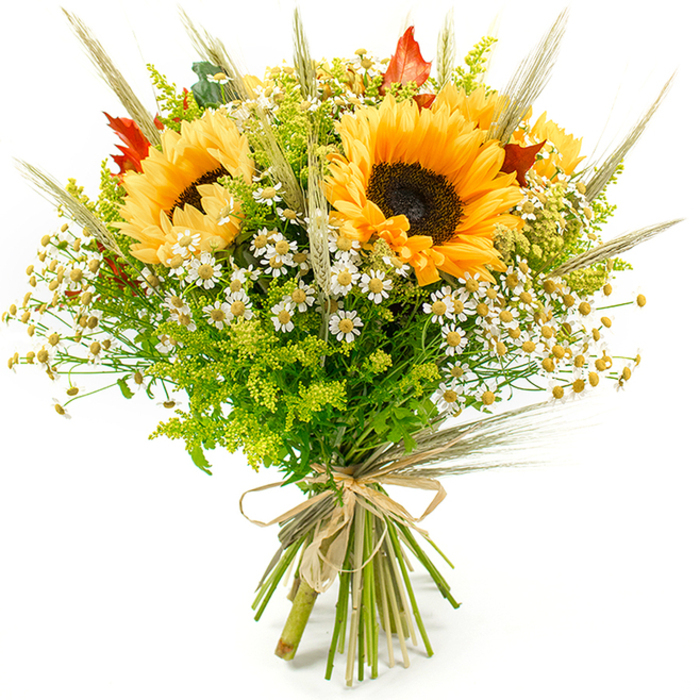 Celebrate the magical feel of autumn exuberance and send this lovely wild mix of bright sunflowers, chyranthemums and solidago to someone special. Bring the breathtaking cozy autumn fields feel straight to their table. Very luxurious arrangement here! I've ordered from this florist quite often. Each time flower delivery was prompt and courteous. The flowers I received were truly awe inspiring. Not every day you get a bouquet like that to your door. I am so happy with the gorgeous flowers I sent to my mum. They were a wonderful choice that she loved! I didn't expect the flower delivery. The flowers were arranged in a nice way. This is the most vibrant bouquet ever! 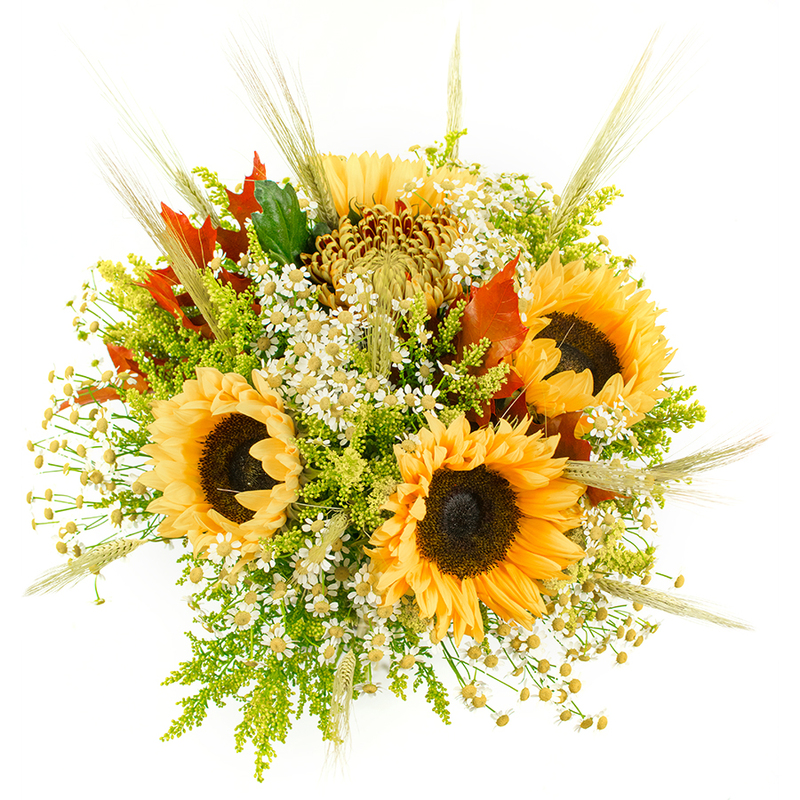 I liked the freshness of the sunflowers! Prompt delivery. I was very pleased with the condition of the flowers. Trustworthy florist. I wanted a special bouquet for a very special lady. This one caught my attention. It's very beautiful. I adore sunflowers and this bouquet in particular! Easy and friendly environment for customers. The bouquets look fascinating. I'm thinking of giving them a try. Ordered this bouquet for my mom's 60th birthday. Mom was very happy and told me she loved the flowers!